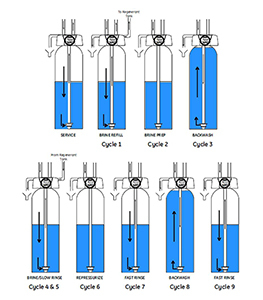 Water zone water softener is based on lon exchange process. The strong acid action resins eliminate dissolved iron like calcium and magnesium from water producing high quality soft water. The softener prevents scaling of your exciting pipes, taps, water heater, washing machine, tiles, marbles and human skin & hair etc. 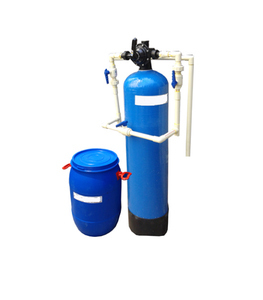 The softener packages are offered FRP Vessels as per client’s equipments. 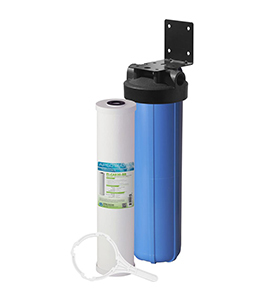 Water Softener in coimbatore are designed to remove the calcium and magnesium that cause scale and scum from hard water. They are intended to treat the whole house supply, so they are installed close to the point where the water supply enters the premises. They involve a process called "ion exchange" which uses an ion exchange resin. The resin comprises tiny polymeric beads which are specially formulated so that they can be charged with certain ions. 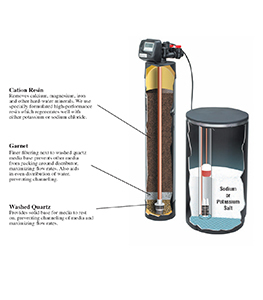 Calcium and magnesium, the causes of scale and scum from hard water, are referred to as ions, and as water passes through the resin the calcium and magnesium ions swap places with the sodium ions on the resin. Improving the texture of laundry by preventing detergent scum deposits within the fibers’ of clothes, bedding, etc. Clear raw water pump & water with a Max TDS of 2000 ppm as specified and devoid of any Chlorine, Iron and Heavy Metals at specified Volume and TDS. 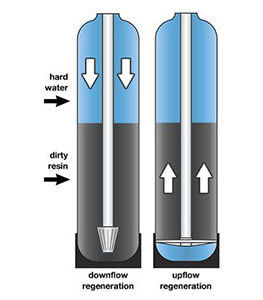 Raw, Filtered and Product water storage tanks. Water and Electrical connection to the plant. Necessary Civil and Piping works. Pipes & Fittings (Inlet, Outlet and Drain will be your scope).